Posted January 28th, 2018 by Mike Boyes & filed under Adult Development and Aging, Aging Psychological Disorders, Aging-Psychological Disorders, Clinical Neuropsychology, General Psychology, Health and Prevention In Aging, Nutrition Weight Management, Stress Coping - Health. Description: One cannot open a paper or a magazine these days (especially in the weekend “lifestyle” editions) without encountering one or more article extolling the virtues of one diet or another for weight loss, health, wellness, vim vigor or longevity. Often such articles are rather light on systematic science or, if they cite studies they are a bit light on valid causal data. Basically, the challenge is that people who eat well likely also do many other things well (exercise etc.) and as a consequence it is not always clear whether their diets contribute substantially to they general mental, physical, or even sexual, wellbeing. What kinds of data should we look for, before deciding if a newly developed or touted diet regime is worth seriously considering? The article linked below is a good example of this sort of research done right. The authors are NOT selling or “testing” their own proprietary diet plan (conflicts of interest do not support the validity of research). In addition, the diet they are examining already HAS a positive research track record. Finally, they conduct a focused longitudinal study that assesses “dosage” of the diet. Think about what such a well-designed study should look like then have a look at the article linked below. Oh, and the data is also informative about the impact of the diet on post-stroke dementia levels. Source: MIND Diet Slows Cognitive Decline in Stroke Survivors, Janice Wood, PsychCentral. The key to the validity and causal-considerations usefulness of the linked study is the longitudinal nature of the study along with the dosage-level control — dosage meaning the comparisons of people who closely, not so closely and not at all followed the diet. Given the design features of the study, the results are worth paying attention to. What is the diet that was looked at in the study? 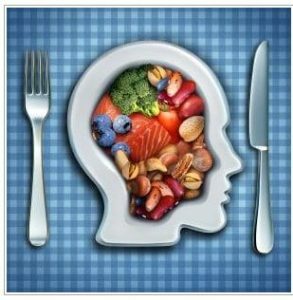 How does the diet looked at in this study relate to brain health? What are the important design features that make this a study particularly worth paying attention to and how might you briefly articulate this as part of an article in a newspaper or magazine about this study?